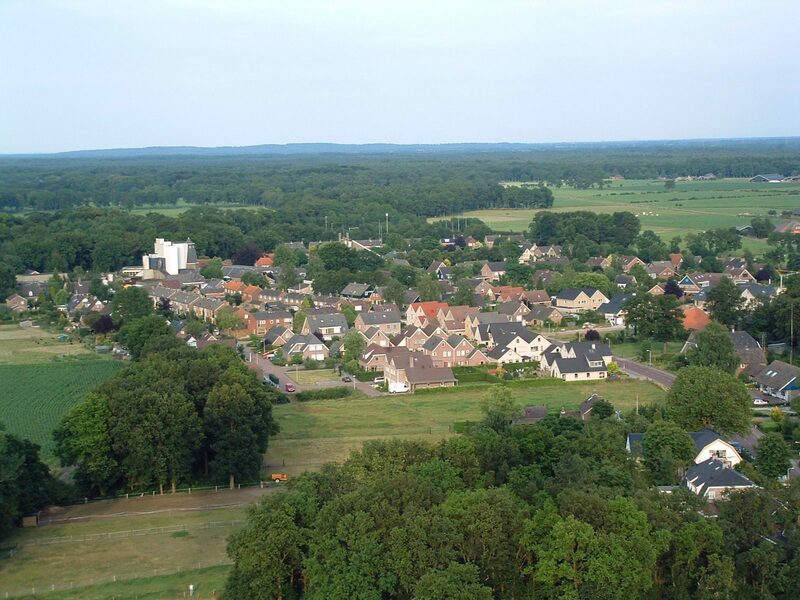 Hoonhorst is a village in the municipality of Dalfsen with no more than 1,000 inhabitants. Most of this lives in the rural area (including the Lenthe neighborhood) around the core of Hoonhorst. Along the village of Hoonhorst is the Overijsselse Havezatenpad. The village originated when the Catholic faith was suppressed in the centuries after the reformation. The church, like the Great Church in Dalfsen, is dedicated to the holy Cyriacus, which is hardly ever seen in the Netherlands and Belgium. Hoonhorst is a catholic village, unlike most villages in Salland, which have a protestant character. Every year in June there is the Hoonhorster Spray Festival, a village party with party tent and fairground. In Hoonhorst stands the monumental mill Fakkert, which was unveiled in the 1930s, and whose restoration started to milling mill in 2010. A Christmas market is organized annually around the mill. In January, the Snertloop will take place annually. The outdoor area of ​​Hoonhorst is characterized by wavy landscapes, old sandy roads and alternate forest areas. There are also some buildings of the past, such as the remains of Huize De Mataram. Nearby is Huize De Horte, which currently houses the Overijssels Landschap's office. In addition to the country houses, the so-called stickwalks are a remnant of the Hoonhorster past. A part of the outer area used to exist from fertile soils and dust pits and stabbing or stabbing in the ground was a good way to stop dust. After many years, there were stickwalks in Sterrenbosch, the Stoevinghe and the Moezenbelt. Due to this success, the underlying areas became better fertile and around 1700 a park was constructed by the former owner of Den Aalshorst.